Ferndale’s first Built Green 5-Star certified home fits seamlessly into Whatcom County’s established neighborhoods. 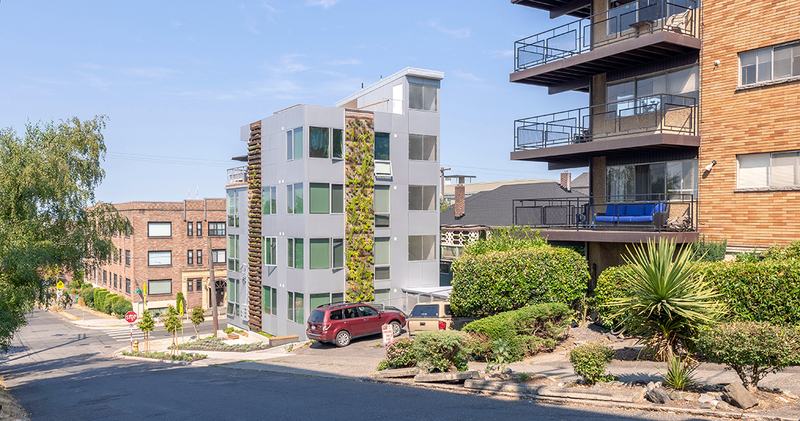 Two striking 40-foot-tall green walls and a solar panel rainscreen system highlight Build LLC's sustainable intentions in this Capitol Hill project. This charming sustainable cottage community in Kirkland wraps around a shared garden court and common house. 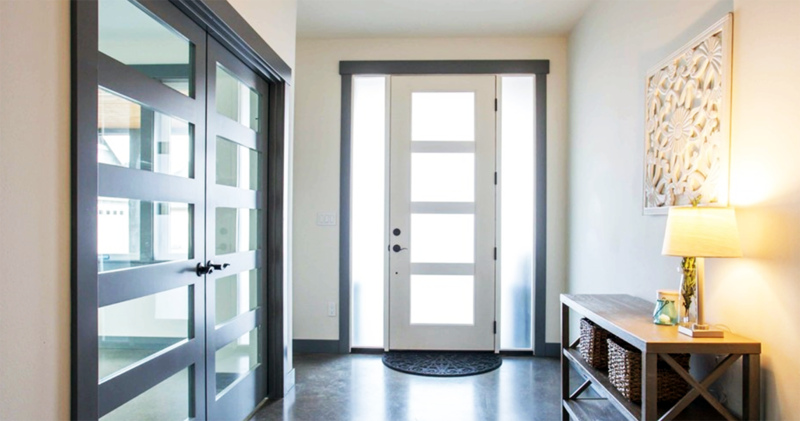 A Built Green home typically saves money on operating and maintenance costs through more efficient energy use, utilizing features such as extra insulation and more efficient water heaters, lighting and appliances. The use of natural daylighting techniques can also reduce energy consumption. Efficiency means more money in your pocket! No need to worry about that stinky coat of paint or new carpet smell. Using low VOC and low toxic interior paints and finishes reduces toxins and increases indoor air quality in a home. This makes the home healthier and more comfortable for you and your family. Rapidly renewable materials such as bamboo, cork and strawboard can be managed, grown and harvested in a sustainable way and can effectively replace traditional lumber. Countertops made from recycled glass, concrete and paper are aesthetically pleasing and eliminate the use of traditional or precious stones. From flooring to cabinetry to building materials, there are hundreds of cost-effective, sustainable options on the market today! Water conservation can be achieved by planting drought tolerant landscaping and avoiding turf grass. Pervious pavement can be used in driveways and walkways to allow rainwater to seep into the ground instead adding to polluting stormwater runoff. Erosion control methods are used to help reduce sedimentation into streams and protect the natural features of the site. All of these methods benefit aquatic habitat which makes for healthier ecosystems. Building a more efficient home reduces your water, energy and carbon footprints. By reducing your energy and water use, you conserve resources and have less of an impact on the climate and the environment—which makes for a healthier, happier planet.